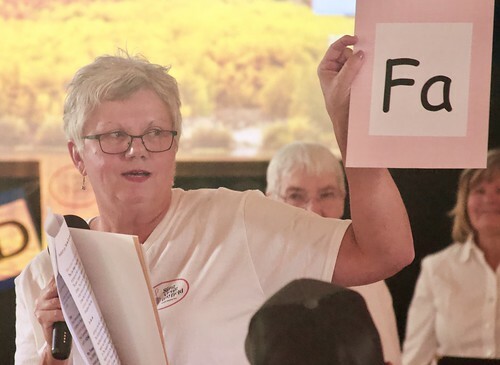 Huron County, in partnership with Regional Tourism Organization 4 Inc. (RTO4), is undergoing a signage and wayfinding plan with Bayfield selected as the implementation pilot site. A trio of logo options were designed based on community feedback at the first Open House on Sept. 17 using the general consensus on the appropriate color scheme and icons. Bayfield must determine how they want their brand to be represented. To aid in this process, local designer, Erin Samuell has been asked to prepare Brand Guidelines for Bayfield. A draft copy of the complete Heritage Village of Bayfield Brand Guidelines is available for viewing at the Bayfield Public Library. Sign designs could then be determined through these Guidelines. "We are again looking for your feedback! Using the link below please select the logo option that you feel best represents Bayfield as a destination. You will also be given the opportunity to provide written comments. 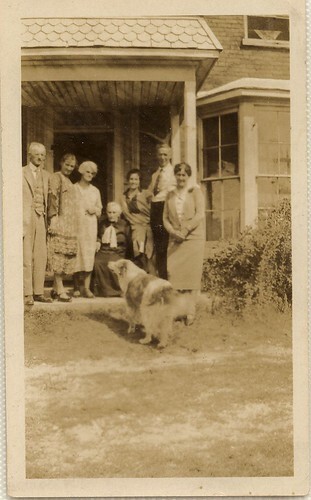 Thank you for your assistance on this project!," said Samuell. Signs will have an area that can be customized for each community. Bayfield’s own, Jennifer Pate is a scientist, filmmaker, adventurer and a business woman. 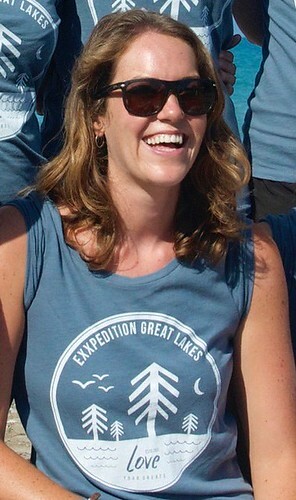 She will share a unique tale of the people's passion for their local waterways and a healthier future, “Love your Greats: From the Oceans to the Great Lakes”. 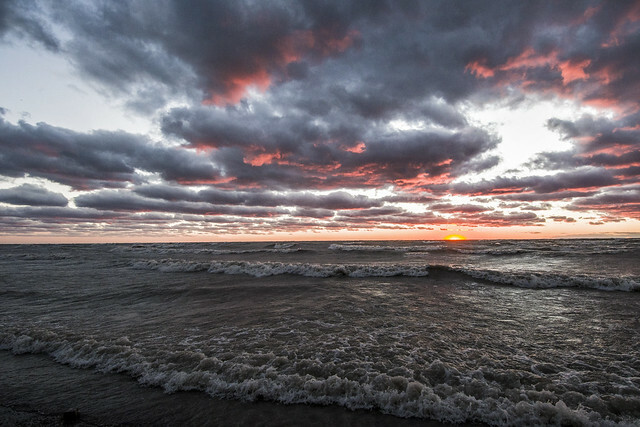 Over the last two years, Pate has crossed the Atlantic, the Caribbean Sea and beyond and has lead research projects to study plastic pollution in the Great Lakes. She has been a featured speaker at adventure-based seminars including, Intrepid Explorers and Tales of Adventure and given addresses at events such as, the Wild & Scenic Film Festival. 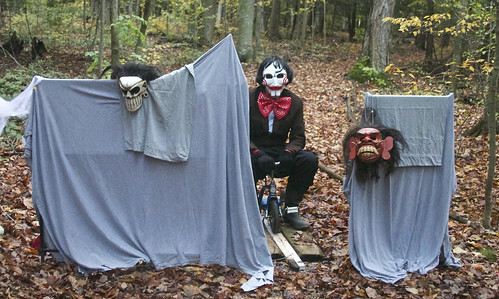 Her “day job” is teaching and managing the Windmill Lake Wake and Eco Park near Bayfield. Wendy Yamamoto-Chapman is the Special Projects Coordinator with the Bluewater Recycling Association (BRA) and the perfect candidate to educate attendees on, “Recycling right”. She has been affiliated with the BRA for over 20 years and is involved in a wide range of research and educational projects. Her primary jobs are overseeing the automated collection program working with various community groups and organizations to educate them in proper recycling. Yamamoto-Chapman holds a Master of Arts degree with a specialization in Parks and Recreation and Environmental Studies. Remembrance Day 2018 will mark the 100th anniversary of the ceasefire that brought an end to the First World War. This is just one reason the community is encouraged to honor all those who have endeavored to keep the citizens of this country safe for decades as well as those who continue to do so on a daily basis. The Village of Bayfield will observe Remembrance Day on Nov. 4 starting at 10:45 a.m. at the cenotaph in Clan Gregor Square. 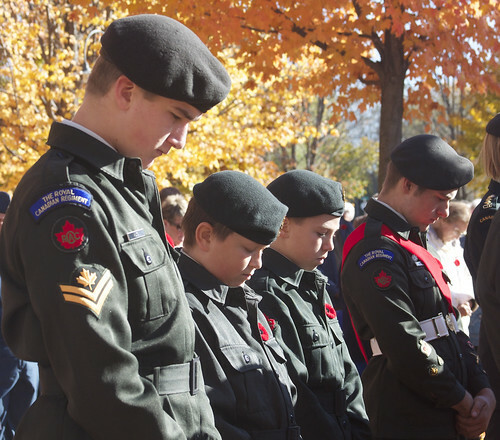 Bayfield’s services are held on the Sunday prior to Nov. 11, when musicians, clergy and legion members can avail themselves to the smaller centres. The ceremony will begin with a parade of veterans, legion representatives, and local members of Guiding marching along Main Street to the cenotaph. The St. Joseph and Area Historical Society will be hosting a Remembrance Day Service at St. Joseph Memorial Park on Saturday, Nov. 10. All are welcome to visit the St. Joseph, ON community for this service starting at 11 a.m.
Thursday, Nov. 1 is the date set for a public meeting so that interested individuals can learn about the findings of the Bayfield Complex Feasibility Study, and future options for the facility, as a draft of the study is now complete. The public meeting will begin at 6:30 and will be held at the Bayfield Community Cenre. A presentation will commence at 6:45 p.m. with a question and answer period to follow. To submit feedback, send an email to bayfieldcomplexstudy@municipalityofbluewater.ca. There was a voter turnout of 3,794 out of 8,768 electors voted in this ballot. This equates to 43.3 per cent. Voting was done via phone or online from Oct. 11 at 9 a.m. to Oct. 22 at 8 p.m.
Paul Klopp and Peter Walden return to the council table after an absence as Mayor and Councilor for Stanley East respectively. Deputy Mayor Jim Fergusson was re-elected to the position as was Councilor for Stanley West George Irvin. New to their seat will be Councilor for Hay West, Alwyn Vanden Berg and Councilor for Hensall, Scott Harris. Councilor for Hay East John Becker and Councilor for Bayfield Bill Whetstone were both re-acclaimed to their positions while Councilor for Zurich Shawn LaPorte was newly acclaimed to the seat. 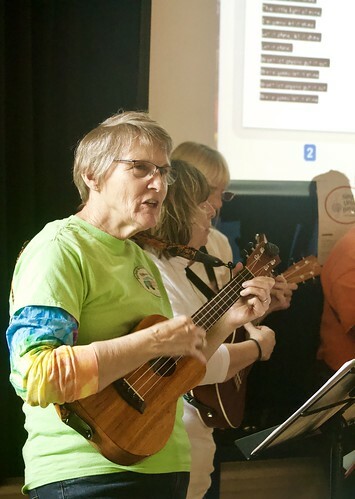 Over the last couple of months anyone who has always wanted to try the ukulele were invited to give it a try at workshops hosted by the Bayfield Ukulele Society (BUS). There has been one more workshop added and it will be held at the Bayfield Public Library on Saturday, Nov. 3 for one hour starting at 9 a.m. Experienced players from the BUS will work one-on-one with beginners, to teach a few simple chords and strumming patterns and then learn a few easy, favorite songs to play together as a group. This workshop will be for anyone that has attended at least one of the beginner classes. Members of the Bayfield River Valley Trail Association (BRVTA) are invited to the Annual General Meeting (AGM) on Oct. 27. The meeting will be held in the Bayfield Lions’ Community Building at 10 a.m. There will be reports on the various activities of the BRVTA as well as financial reports and elections for board positions. The association is always looking for volunteers to serve on the committee, so please consider how you might play a role. 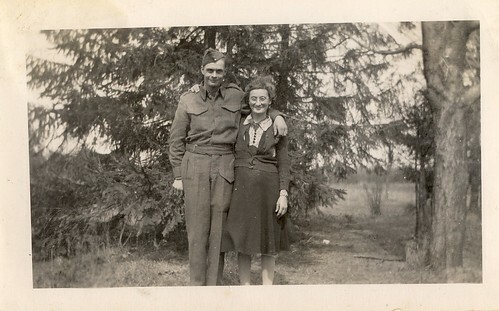 Mary Hughes, owner of The Bayfield Boutique Bed and Breakfast, is hosting a special little contest she is running in honor of our Canadian military. Three lucky winners will be selected to stay in one of her three suites in her 1857 Canadiana style farmhouse located at 12 The Square in the heart of the village on Remembrance Day weekend, Nov. 9-10. Hughes will also serve up a gourmet breakfast each morning to the lucky winners - includes one guest each..
Hughes got the idea from an American group called “B&Bs for Vets”. She says it is an idea that is just starting to catch on in Canada and she is happy to start things rolling in beautiful Bayfield. If you know a veteran, or someone in active service, who would love to enjoy a weekend in Bayfield please reach out to her at the email above. “Muppet Merriment” is the theme of the special children’s concert to be performed by the Glee Sisters, on Saturday, Nov. 17 at the Bayfield Town Hall as part of the Christmas in Bayfield weekend celebrations. The program will begin at 2 p.m. and is geared to children aged seven and under, therefore, it has also been shortened and simplified (compared to recent years) to cater to the attention span of little ones. It will include a screened picture story narrated by “Grandma” and supported musically by the Glee Sisters. There will be some interactive puppet numbers as well as gifts of safety-approved, rhythm instruments for the children to play in the show’s finale. 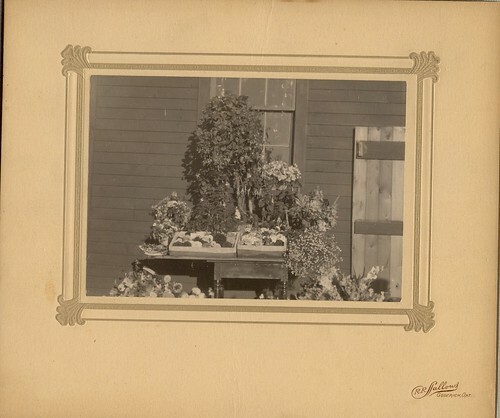 Hot chocolate and cookies will be provided by the Bayfield Town Hall Heritage Society after the show. No tickets are needed and the only price for admission is a donation to the Bayfield Food Bank – Feed My Sheep. Cowbell Brewing Co. is proud to announce the completion of their first Green Pastures Community Fund initiative with McMaster Children’s Hospital. On Oct. 16, the McMaster Children’s Hospital Foundation celebrated the opening of the Wellness Courtyard, located within the pediatric mental health department, with Cowbell Brewing and other donors. “The outdoor Wellness Courtyard will provide an opportunity for patients to enjoy the sunshine and fresh air, which is important to their well-being,” said Dr. Olabode Akintan, Medical director of Inpatient, Day Hospital and Psychiatry Emergency Services at the Child and Youth Mental Health Program. Mental health challenges affect one in five Canadian children. McMaster Children’s Hospital helps care for these patients, and is home to the largest single-site inpatient program for pediatric mental health in Canada. The wellness courtyard will allow patients to access a safe outdoor space to help maximize the care provided. 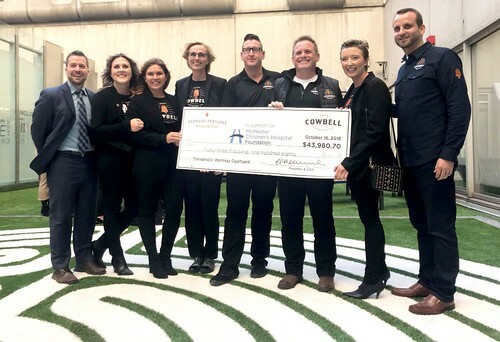 Cowbell Brewing contributes five cents from the sale of every pint and can sold, to the four children’s hospitals across Ontario and the Canadian Centre of Rural Creativity in Blyth. To date Cowbell Brewing’s Greener Pastures Community Fund has provided $43,980.70 to McMaster Children’s Hospital and will continue to partner with them as they begin renovations on their pediatric hematology/oncology department. To learn more about the Greener Pastures Community Fund, visit Cowbells website and follow them on social media. Cowbell Brewing Co. is owned by the Sparling family which has entrepreneurial roots in Blyth, going back three generations. This ambitious project employs over 170 people and is designed to have positive local community impact and contribute to regional tourism opportunities. Cowbell is an environmentally responsible company, featuring the World’s First Closed-Loop Brewing System and Cowbell will be North America’s First Carbon Neutral Brewery. Cowbell brands are currently available across Ontario through the LCBO, The Beer Store, grocery stores, restaurants and pubs. The office of the Municipality of Bluewater Council has submitted the following to the Bayfield Breeze as highlights of their regular meeting of council held on Oct. 15. • Supported in principal the establishment of a commemorative day to honor Admiral Bayfield. Fans of Billy Joel, Elton John, Jerry Lee Lewis and other piano greats are in for a treat when the production, “Billy Joel and The Piano Men” visits the Hensall Heritage Hall on Friday, Oct 26. The show, starring piano-wizard and vocalist extraordinaire Bruce Tounay will begin at 7:30 p.m. This unique theatrical performance combines live music with humor, costumes and interesting stories about the songs and performers being highlighted. Tickets are $30 in advance or $35 at the door. They are available at D&D Variety in Hensall; online at www.ticketscene.ca; or by calling Kathy at 519 263-2343. This will be a licensed event held in the one of a kind, historic hall located at 108 King St in Hensall. Thursday Tunes-Seniors Dancing has started up again at the Central Huron Community Centre. 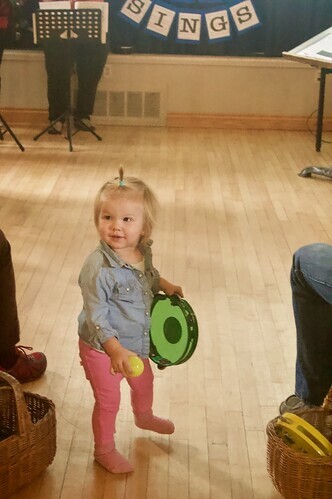 For the second consecutive year the program will be held in the Libro Hall in Clinton from 1-3:30 p.m.
All musicians, singers, dancers and spectators are most welcome. All seniors are welcome to join for some fun, friendship and even exercise. Admission is by donation. Bayfield Guiding members are now selling those yummy Chocolatey Mint Girl Guide Cookies for $5 a box.They can be purchased from members or by calling Melody Falconer-Pounder at 519 525-3830. Profits from sales help with program activities, field trips and camps. The Home4Good Info Hub operates on the first Monday of the month at the Bayfield Public Library from 1-3 p.m. The Hub helps seniors in the Bayfield area find local community services, resources and supports. Volunteers will assist in finding relevant information for daily living, overall health and wellbeing. At any other time of the month should people have concerns or questions they are welcome to approach library staff who will refer inquiries to Hub volunteers. ‪To learn more visit: www.home4goodbayfield.ca. Organizers were pleased with the turn out for “The Bayfield Sing-A-Long” with about 60 people taking part. 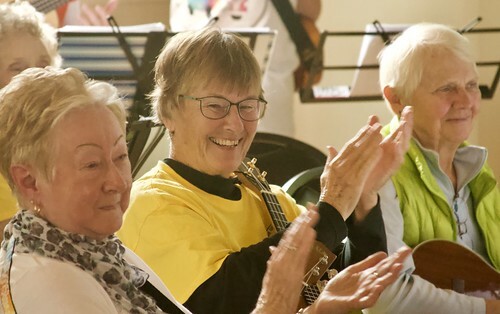 Members of the Bayfield Ukulele Society, including, Shelagh Sully (centre), applauded the efforts of The Glee Sisters as they took turns performing. Reeka Spence, of The Glee Sisters, introduced the song, "Do-Re-Mi", to the crowd, explaining a bit about its history and encouraging audience participation. 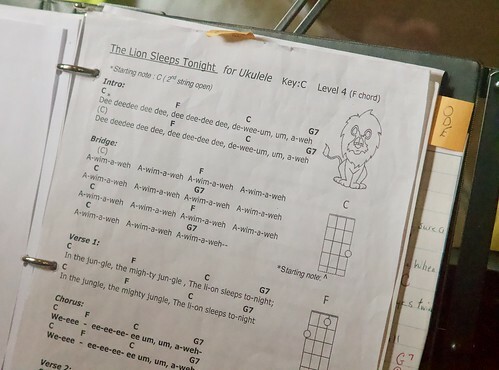 "The Lion Sleeps Tonight" was a song performed by the Bayfield Ukulele Society that had the audience joining in by playing some rhythm instruments. The event opened with the audience learning and singing the World Singing Day song of the year, “Ode to Song”, sung to the tune of Beethoven's “Ode to Joy” and the theme song, “Till the Whole World Sings”. The sing-a-long included such popular songs as, "The Lion Sleeps Tonight". The global goal for 2018 was to have sing-along events on all seven continents in at least 30 countries, and to create a montage video with each continent represented. 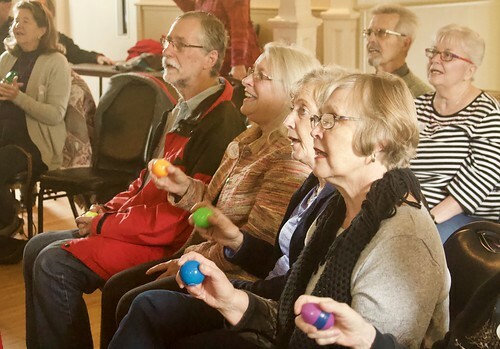 "The Bayfield Sing-A-Long" opened with a locally created video with members of both the Bayfield Ukulele Society and the Glee Sisters singing the song of the year in various locations around the village. Audience members enjoyed singing such classics as "Edelweiss" and silly songs like the "Pizza Hut Song". 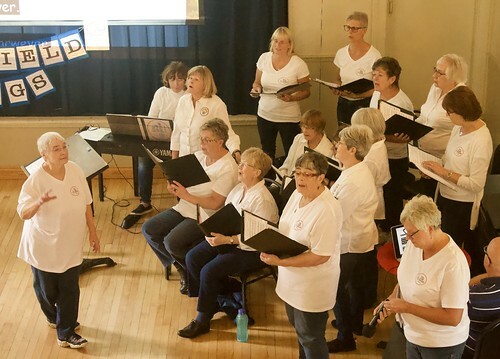 On Saturday, Oct. 20, the Bayfield Town Hall doors were left open so that the delightful sounds of voices united in song could be carried out the door and out onto the Square…World Singing Day (WSD) had arrived. 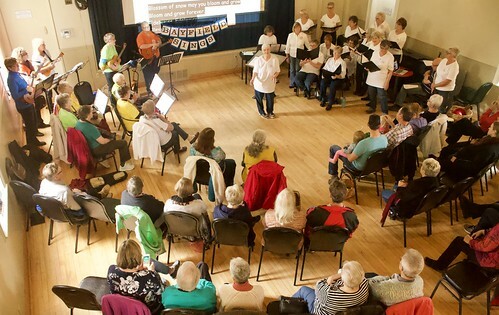 World Singing Day is a global sing-along, held annually on the third Saturday in October. 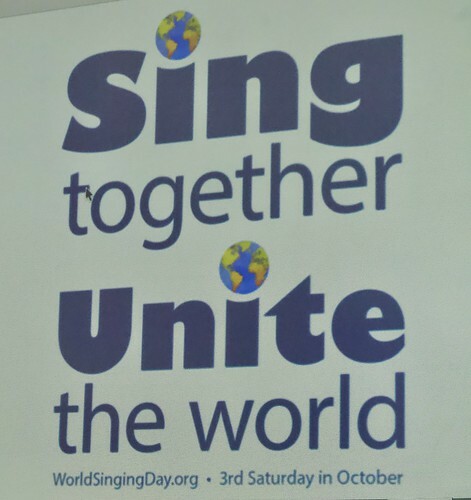 WSD is a global sing-a-long, celebrating our common humanity on the third Saturday in October. This year 46 countries registered and 219 cities hosted this event. 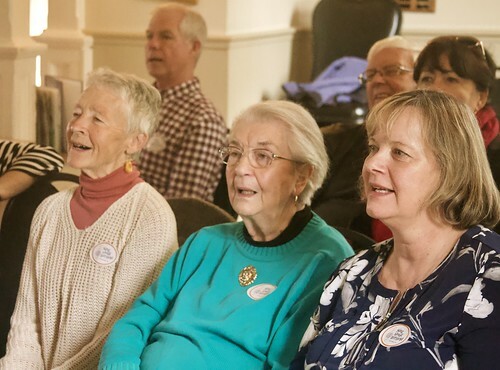 Bayfield added their special mark on the globe by launching a video featuring The Glee Sisters and the Bayfield Ukulele Society (BUS) singing in and around the village. 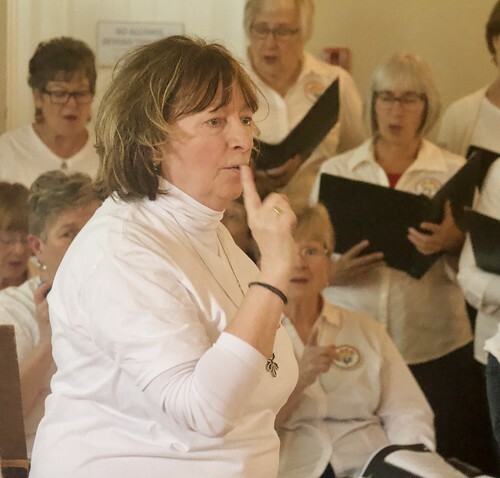 Organizers were pleased with the turn out for the village’s event, “The Bayfield Sing-A-Long” with about 60 people taking part, joyous voices filled the air, led by the Glee Sisters and members of BUS. 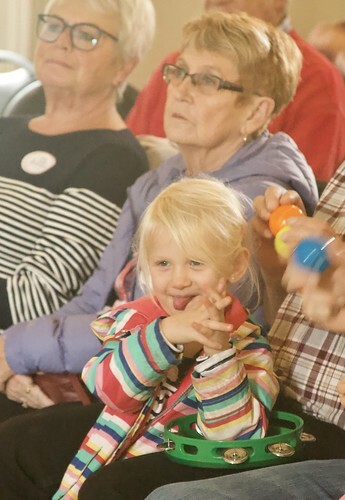 People of all ages and singing abilities sang, and sometimes danced, along to familiar tunes such as “Twist and Shout”, “Don't Worry Be Happy”, “Do-Re-Mi”, “The Lion Sleeps Tonight” and “Sing”. The enthusiastic audience also learned the WSD song of the year, “Ode to Song”, sung to the tune of Beethoven's “Ode to Joy” and the theme song, “Till the Whole World Sings”. There was lots of audience participation and special appearances from the Beatles and Bobby McFerrin! As the celebration ended, organizers noted, that it was evident by all the smiling faces leaving the venue, that the audience members had been touched by the power of community spirit and music. "Sing (a Song)" first performed by The Carpenters in 1973 was a number that all ages could be joyful about. World Singing Day began in 2012. Six years later, 46 countries registered and 219 cities hosted an event. 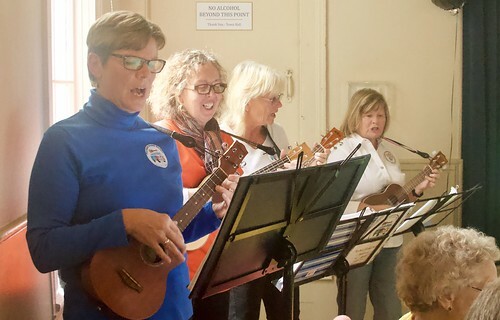 Some of the performers did double duty moving back and forth between both the Glee Sisters and the Bayfield Ukulele Society as they belonged to both groups! "Shake the Papaya Down" is a calypso song with actions that members of the Glee Sisters taught the audience to do while singing. Perhaps the most brilliant thing about having an on-line only newspaper is you can construct it from almost anywhere. My Web Publisher, Dennis Pal, and I have been working together for nearly a decade on this publication. Wherever we are in the world from cabins in Quebec to cruise ships docked in Vancouver we have always been able to stay connected. Although it hasn’t always been without its challenges. I remember roaming around with my laptop hoisted to the sky in the backyard of a rental house in Florida, one we had been assured had good WIFI, trying to catch a signal. For this current issue, and for the next few upcoming ones, we will face our greatest challenge of connectivity yet as Dennis has gone to Tokyo, Japan for work. So now we add a thirteen-hour time difference to the scenario. 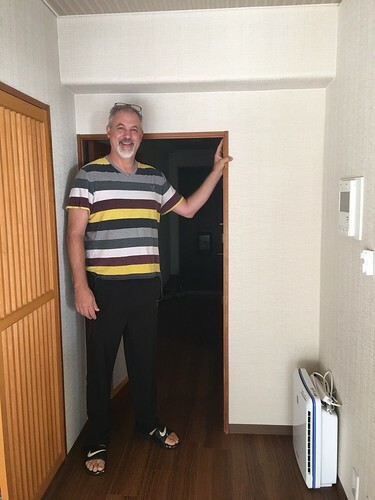 However, judging from the picture he sent me of his home-away-from-home he will also be facing some height challenges in addition to adapting to a culture much different from his own. But I’m sure he will be up to the task and will enjoy every opportunity.